On Sunday, we honor and celebrate our fathers: Happy Father’s Day to all of the wonderful fathers who provide love and support to their children and families. On Monday, the House approved a conference committee version of HB 247, an oil and gas tax reform bill that impacts how much progress we can make in trying to close Alaska’s deficit gap. Shortly after the House voted on oil taxes, the Senate approved a Permanent Fund restructuring bill. This week, the legislature passed a statewide operating budget and a capital budget. Passing this budget compromise means the state has avoided sending lay-off notices to state employees. Although passing the budget is a step in the right direction, the legislature has not adopted a long-term solution to Alaska’s financial challenges. 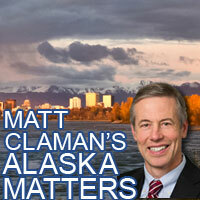 There is more work to be done to implement a responsible action plan for Alaska. This Memorial Day, we honor the men and women of our armed forces who have bravely served our country and courageously defended our freedom. As we observe this day, I pause to remember our fallen service members and pay tribute to all they have given. At midnight on Wednesday, the legislature adjourned without passing a responsible action plan for Alaska and Governor Walker immediately called a special session. The Governor called the special session to address a comprehensive fiscal plan and a limited number of other matters important for Alaska. I hope everyone enjoyed the great sunshine this weekend! On Friday, a bipartisan group in the House passed an oil and gas tax and subsidy reform bill, House Bill 247. 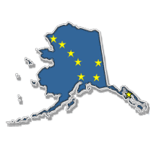 This legislation puts us one step closer to agreeing to a responsible action plan for Alaska. Rep. Claman’s Newsletter: Congratulations Graduates! This week students, friends, and families all across Anchorage are coming together to celebrate high school graduation. Congratulations to all of Alaska’s high school graduates and best wishes on all of your future endeavors!